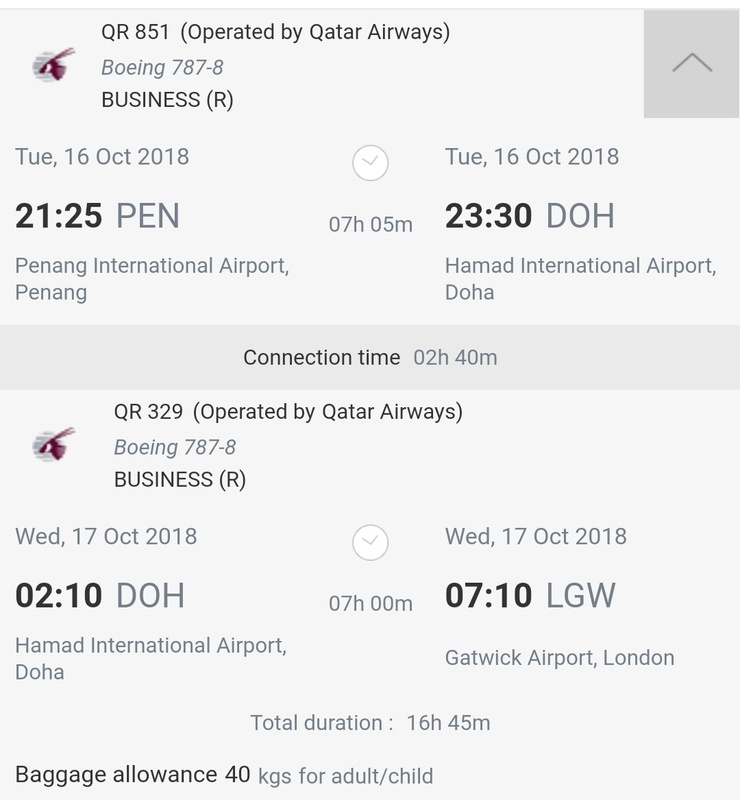 Home » business » business class » Fare sale » fare sales » lgw » lhr » london » oneworld » qatar » Qatar: London to Malaysia from £1564! 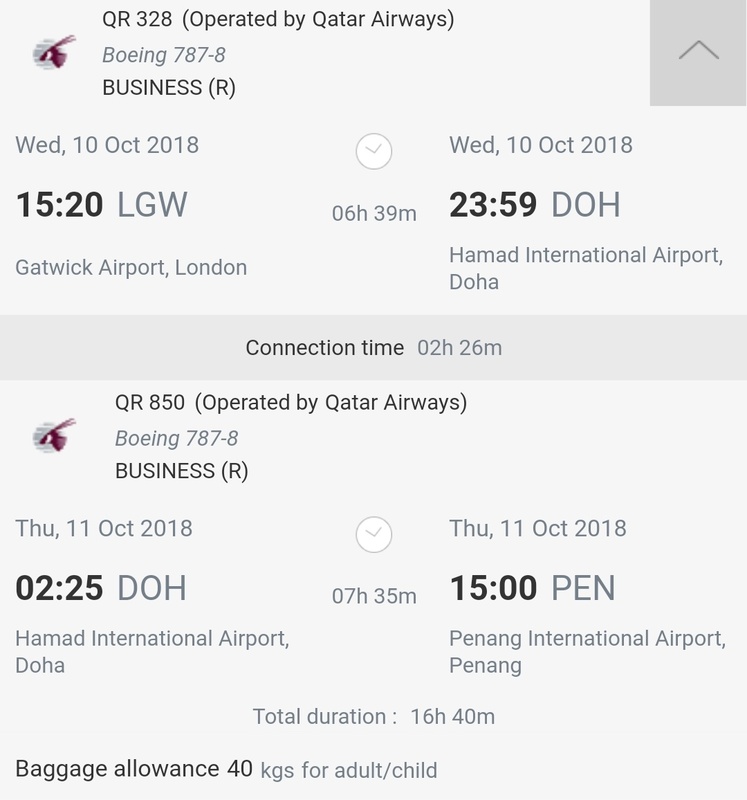 Qatar: London to Malaysia from £1564! 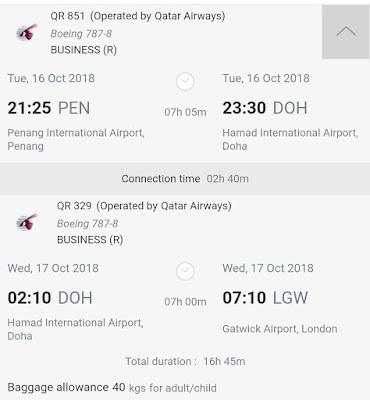 Qatar is having an unannounced sale from London to Penang, Malaysia. Flights out of London are usually higher than flights departing from other European destinations. Flights start at £1564 for flights out of London Gatwick. Connections are efficient and short in Doha. 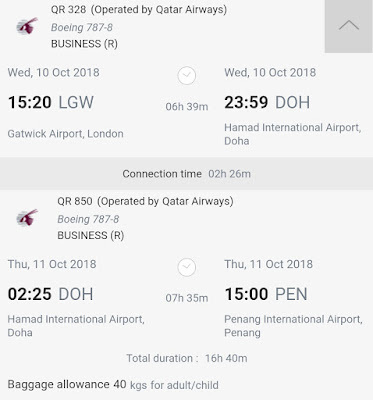 Here at Premiumcabindeals we love the Qatar Boeing 787 and one of ourteam members flew one of the first flights Intra-Gulf when it was launched. We highly recommend avoiding the last row of two seats as there is significant light and foot traffic in that area.